Former Defense Minister points out failure of Oslo - but calls not to close the door on giving up land for a future Palestinian state. Former Defense Minister Moshe Yaalon has claimed in recent years that he has become disillusioned with the Oslo idea, but his words at the Hebrew University yesterday seem to indicate that he still supports relinquishing territory for the establishment of a future Palestinian state, albeit in the distant future. 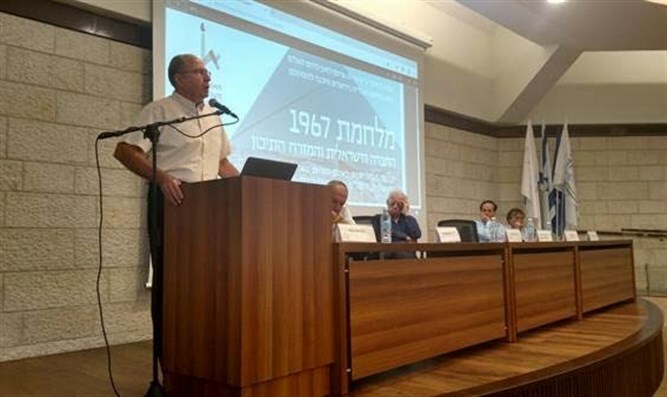 Yaalon spoke within the framework of an international forum marking 50 years since the 6-Day War held by Hebrew University’s Truman Research Institute for the Advancement of Peace about the consequences of the war on Israeli society and the Middle East.